This took about 2o minutes to whip up on a very busy morning! It is a very simple, elegant, and useful gift. 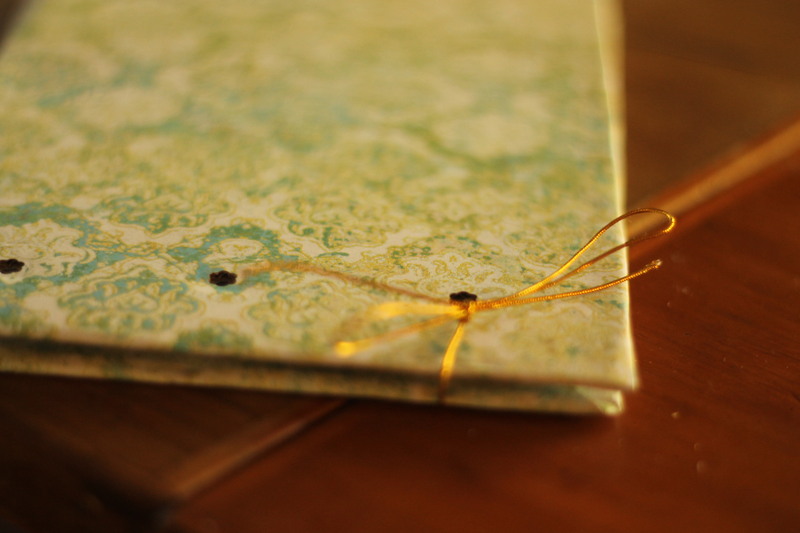 A scrapbooking album, a journal, diary, recipe book, sketch book, travel journal…you could use it for all these and more. Decorate the cover with whatever style your mum prefers. 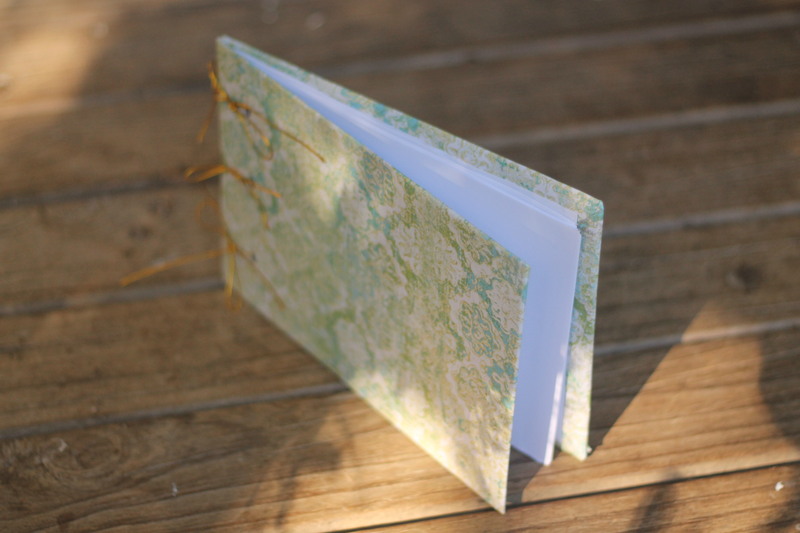 Some very simple accents can change the look and feel of this book completely, so I think this is a very reliable and versatile gift idea. 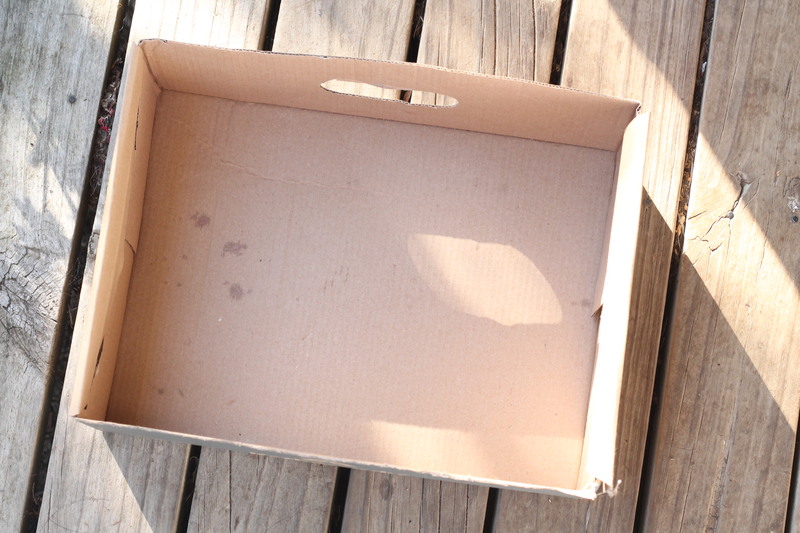 Shoebox (or a piece of sturdy cardboard, roughly A4 size. 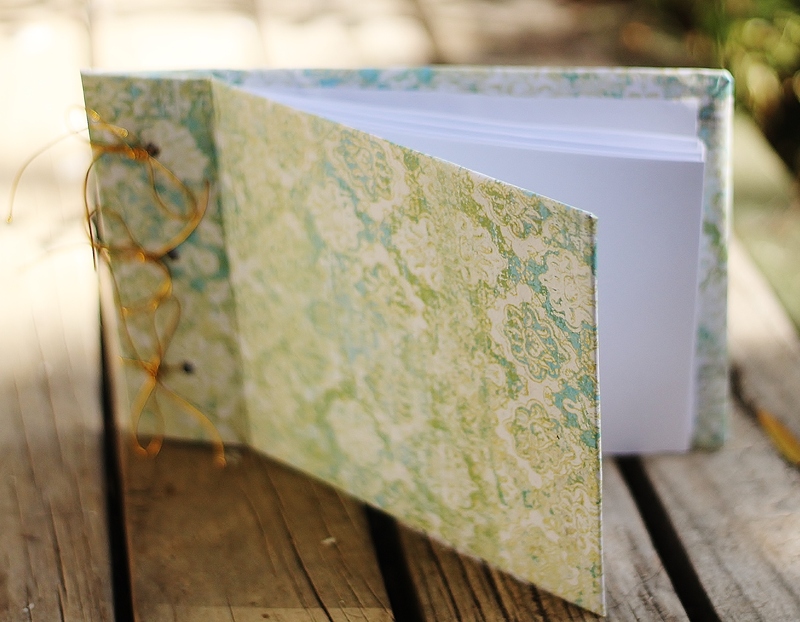 Place 1 half of cardboard onto a standard square of scrapbooking paper in your chosen design, for a pretty cover! 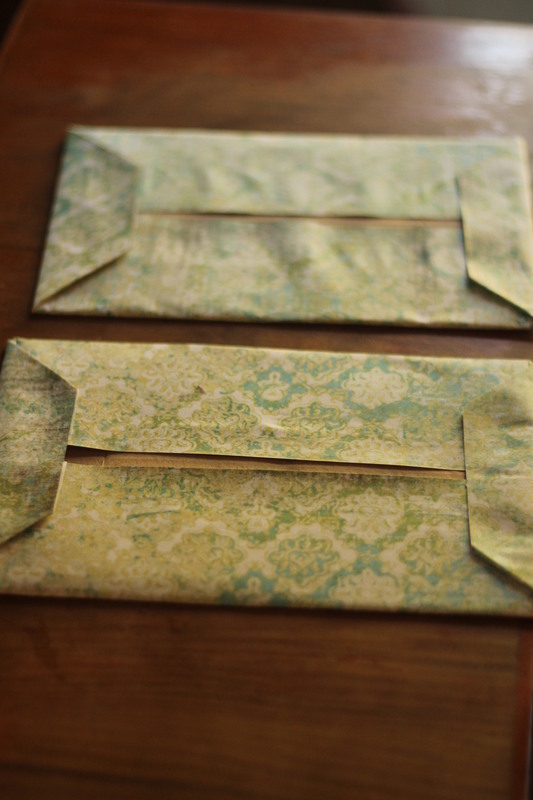 Fold paper over cardboard neatly like your wrapping a present. Repeat this with the second piece of cardboard and a second piece of standard sized scrapbooking paper. Now, get a pile of A4 sized printer paper. You choose the amount of paper you want. Think about how thick you want your book. The thickness of your book will be double the thickness of your pile of A4 paper. Hold one of your cover pieces over the neatly stacked pile of paper. draw a pencil line across. Cut the paper along the line. 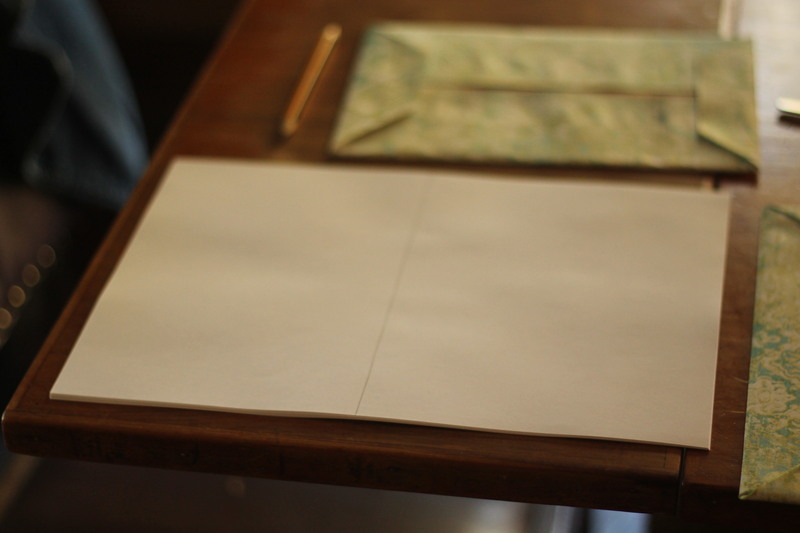 Now cut the other half of paper so it’s all your white paper is even, ready to be pages in your book! 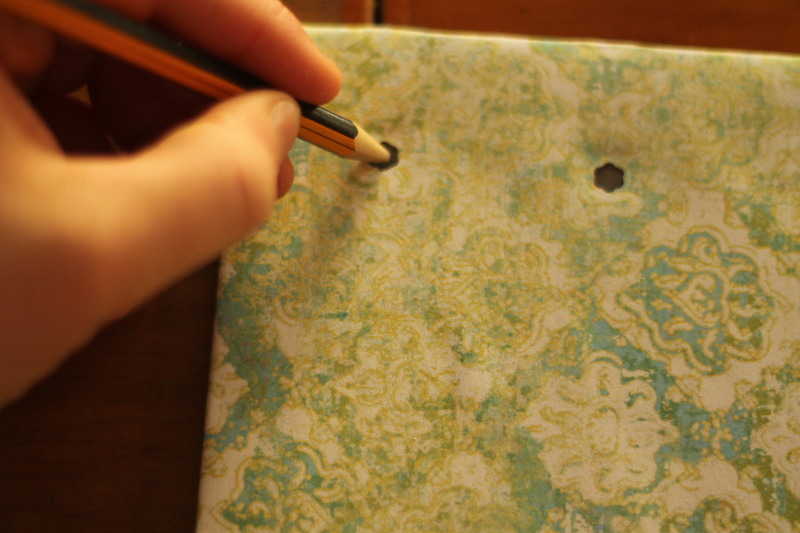 Glue a sheet of your white paper to each book cover too, onto the messy inside to make them look professional and tidy. 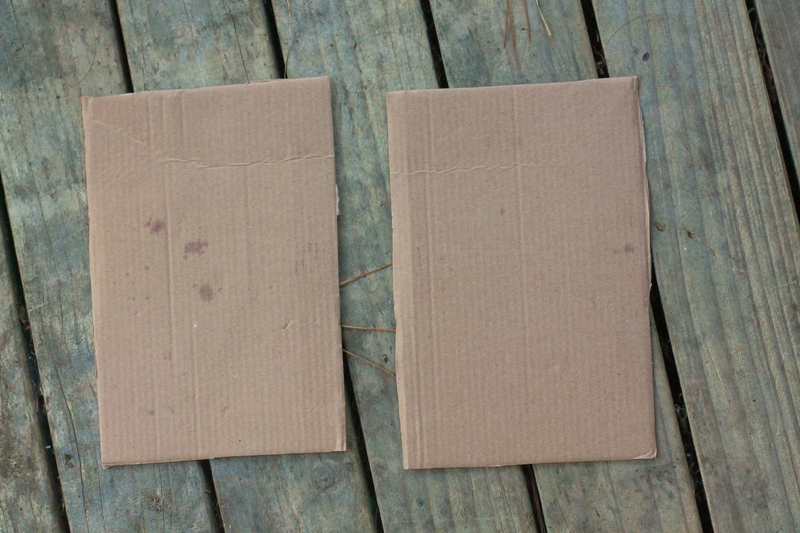 Now, punch 3 evenly spaced holes in each cardboard cover. 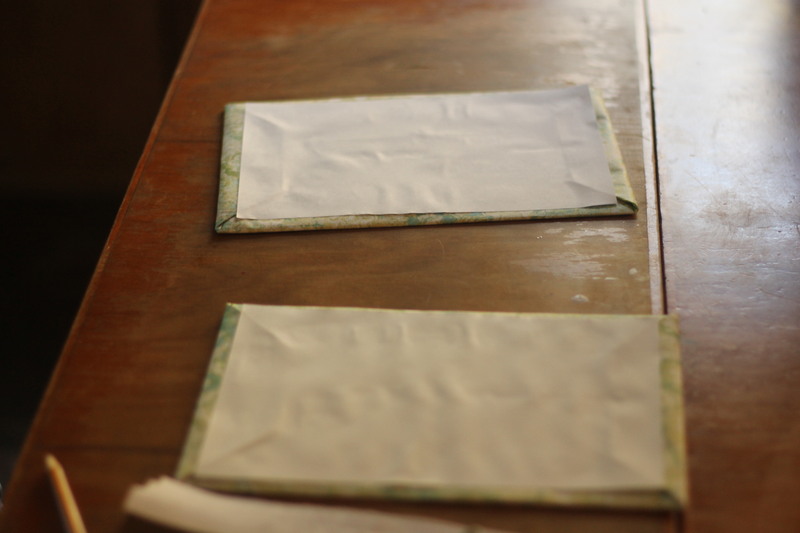 Carefully place your paper pages underneath one of the covers and, using the punched holes as stencils, mark where the holes need to go on your pages. 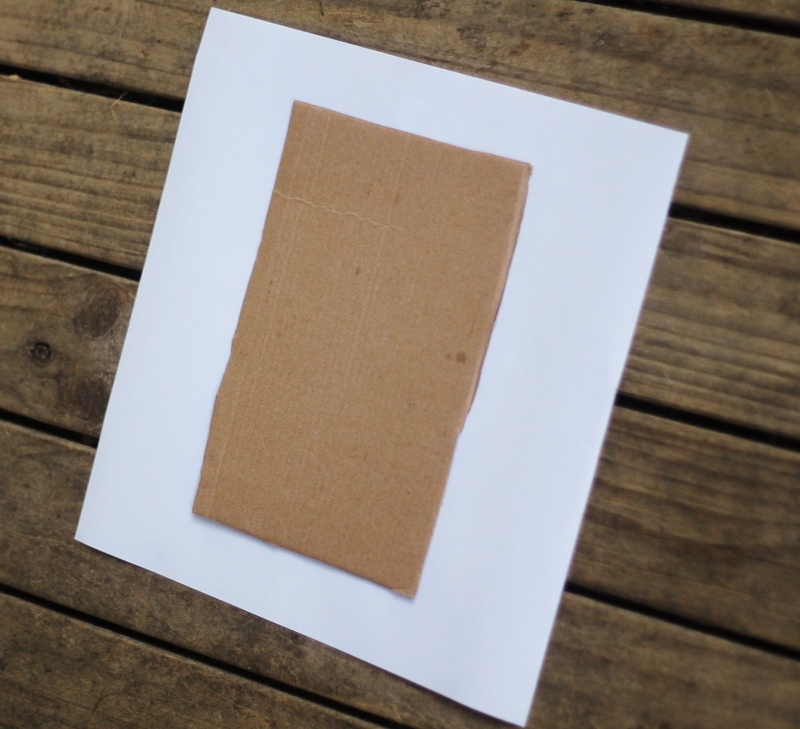 Stack your pages neatly in between your cardboard covers, like a sandwich. Line up all the holes. Thread some pretty ribbon or twine through each hole and tie in a knot or bow, depending on what your style is. 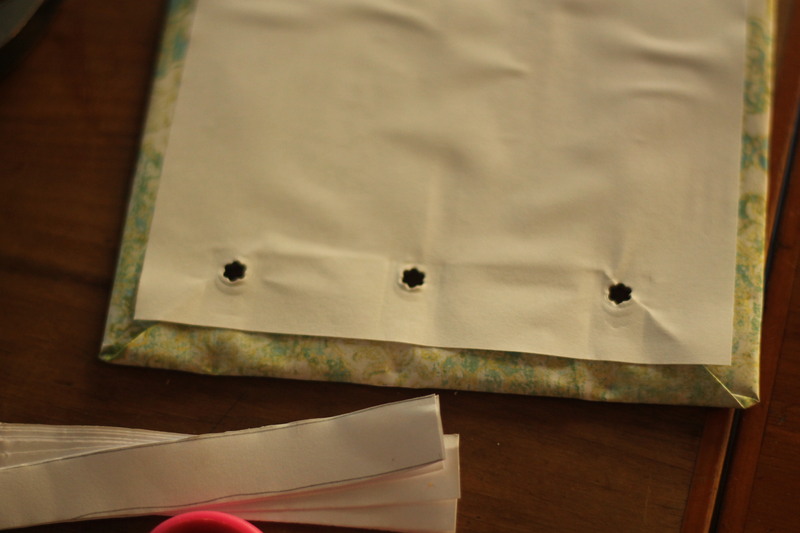 You could loop the thread through each hole, like tying a shoe, or do each hole with their own separate ribbon and bow. That’s what I did, just to be different. took this photo before I remembered to crease the book, so it looks a bit, erm, flat. – But still cute. 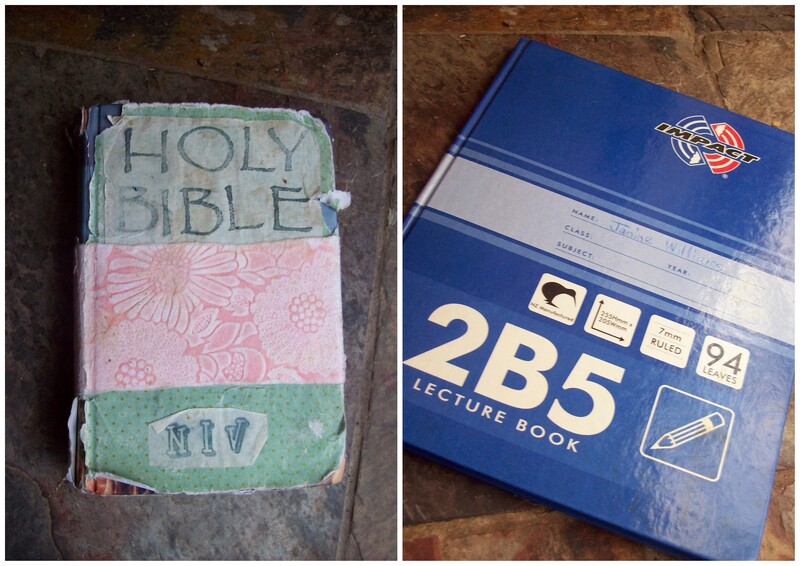 Here are my old ugly notebooks. Well one is a bible, that I had covered before. Tea got spilt on it, it slowly got worse and worse, and so I decided it needed to be re-covered. I wanted a nice big book for creative writing. And I wanted a free one! I found the big blue one in a cupboard, with about 2 pages written on. It was hard covered and big. Perfect. If you glue the first page of the book to the inside cover, it covered up all the messy edges where you glued and it looks quite professional. Everyone told me the ribbon on the bible wouldn’t last, but a few months have past and it’s STILL there, (though a bit beaten up…) so just add what you think looks pretty. You can always cover it again if it needs it in a few months. Its pretty fun covering them! These would make a great gift, I think. 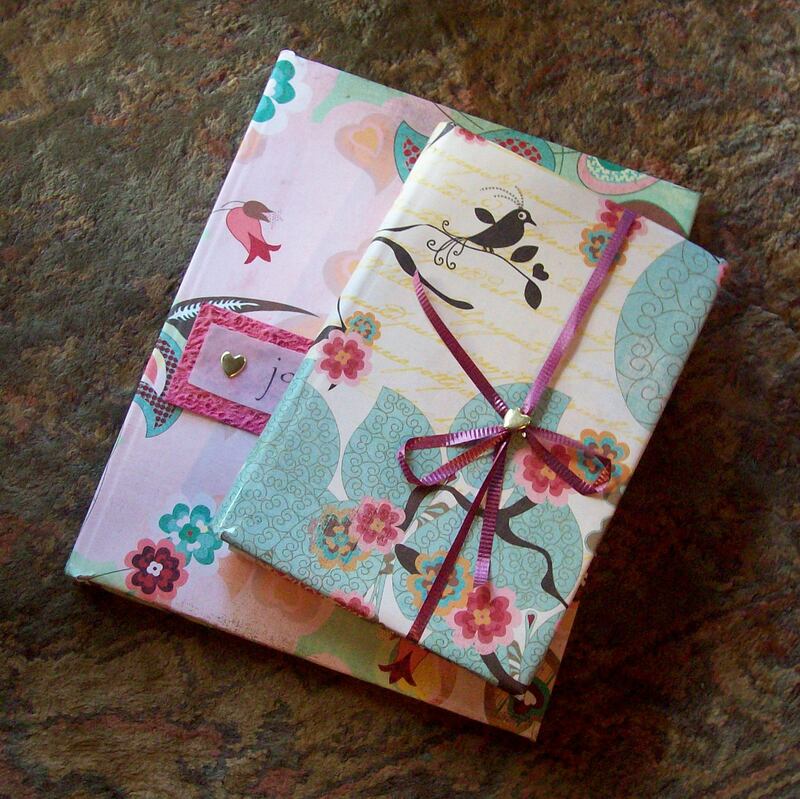 I made Journals from scratch once and they looked a bit like these. I gave some away, and filled up a couple of them as diary’s myself.